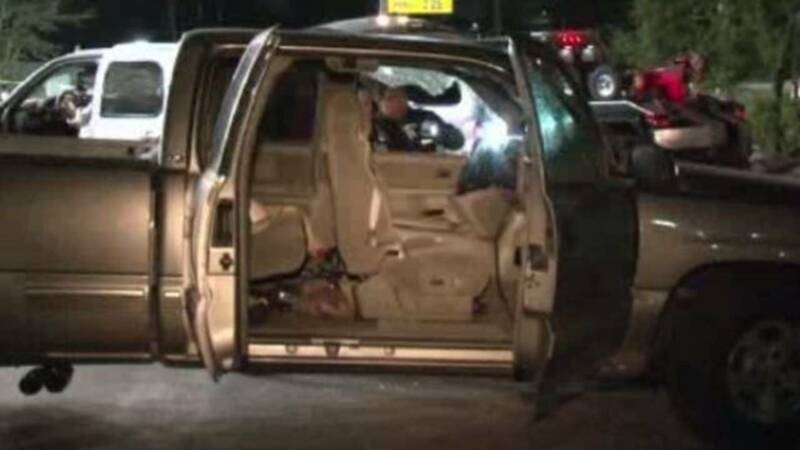 HOUSTON - Police are searching for the men who carjacked and attacked a man in northeast Houston. Houston police said around 11:15 p.m. Saturday, two men attacked another man who was parked in the Valero parking lot near Jensen Drive and Caplin Street. When the assailants attempted to take his truck, a witness parked at the gas pump started shooting at the men, according to authorities. Police said he accidentally shot the victim in the head. He was taken to the hospital listed in stable condition. Police found the victim's truck a few blocks away and the assailants are still on the loose.